With the Oscars now behind us, the red carpets have been rolled up, the champagne has stopped flowing, and it’s back to business. We had the privilege of working on this year’s top films and we thought it wise to take this time to reflect upon our learnings from the 2015/2016 awards run. In order to reach voters in the Academy without the frequency of ads becoming too high, we optimized toward Video Completions and kept a close watch on the frequency of ad delivery per targeting group. We targeted previous video viewers from the SAG campaign and the FYC (For Your Consideration) campaigns, but cut out keywords/interests that we felt were more general rather than people who were involved in the voting process. In order to broaden awareness that would appeal to the highbrow audience, we honed in on influential journalists based on chatter around the film release. 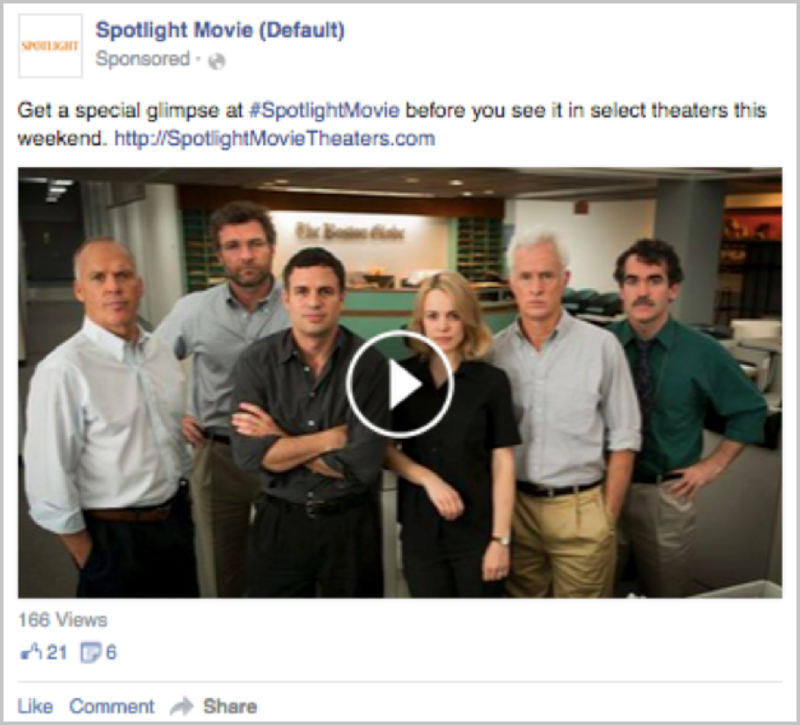 Socialtyze also dedicated a strong push toward the trailer to drive filmgoer intent and leveraged key tent-pole events such as the Toronto International Film Festival and the Papal visit to the U.S. By strategically utilizing geo-targeting during key periods, we were able to reach the right audience, resulting in success for Spotlight. 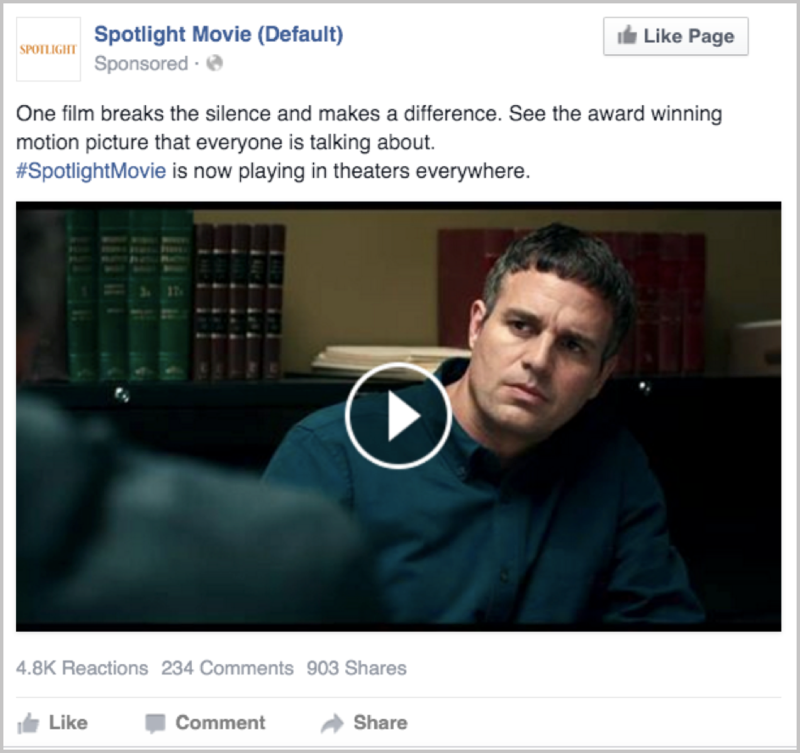 Since we were already working with Spotlight on the general media campaign, we decided to piggyback on the learnings and success for the awards season run. 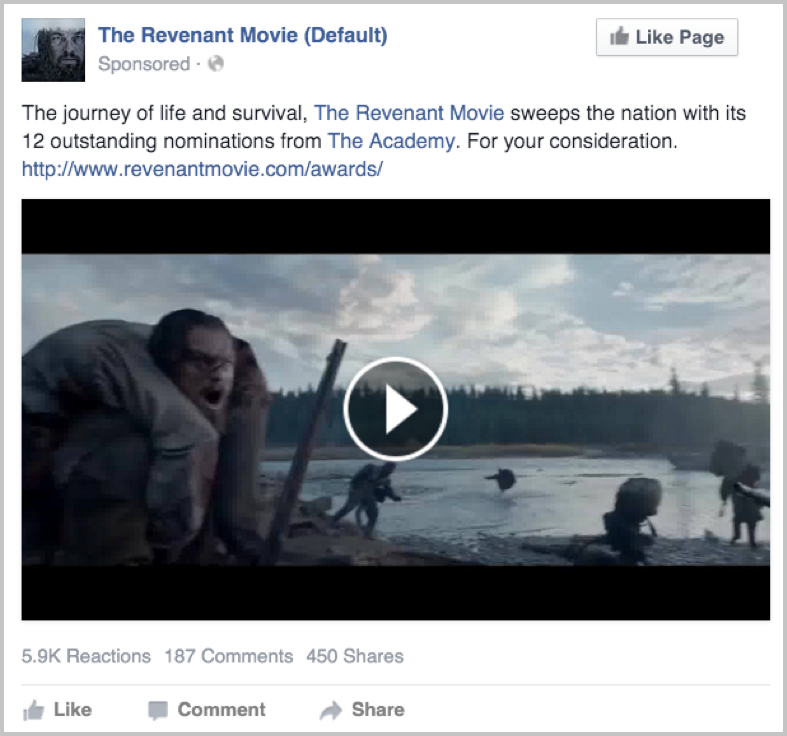 The target audience was dramatically reduced since we only wanted to reach voters who were in the Academy. By utilizing Facebook's Reach & Frequency tool, paired with the new Brand Awareness objective, we were able to maximize reach within the core demo as well as measure estimated Ad Recall Lift and estimated Ad Recall Lift Rate. These two new Facebook features measure how well someone will recall an Ad or Brand 2-3 days after seeing the ad in their timeline. With awards season right around the corner, we knew driving buzz for Home Entertainment sales was the most important factor for the Best Picture Nominee The Big Short. It was obvious that creativity and preparedness were crucial to the success of this campaign, so we staged a live War Room, with the Socialtyze team monitoring the show, engaging with fans and posting creative as results were announced. Preparation was key since the results were unknown in advance, so our designers pre-designed creative for all of the possible winners. 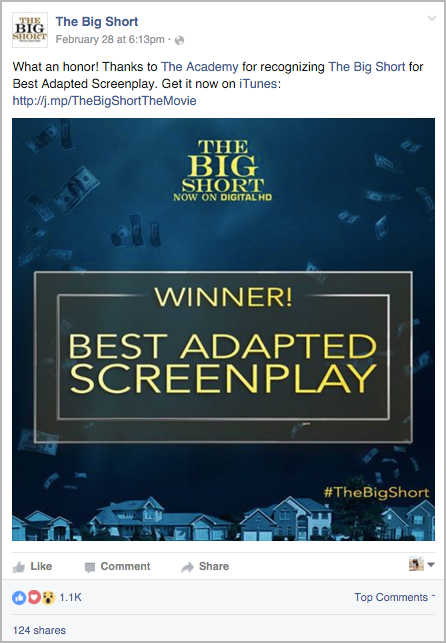 While it required a lot of work to prepare for each outcome, the results yielded substantial returns as these posts for The Big Short were by far the most socially engaging.